Home > Frequently Asked Questions > How Do I Switch Off My Acoustic Calibrators? Acoustic Calibrators – How Do You Switch Them Off? The Castle Acoustic Calibrators were designed with the user in mind, as we know you will be too busy performing a field calibrator of your meter to worry about switching on and off your Acoustic Calibrators. 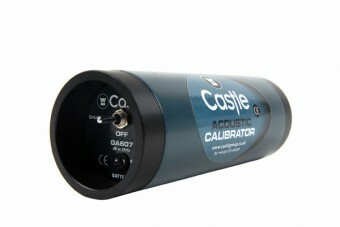 For this reason, the Castle Acoustic Calibrators were designed to generate a tone for 1 minute, then automatically turn off. Each time the switch is moved to generate a tone the minute starts again. As a result, you do not need to turn the calibrator off as it will automatically turn off after 1 minute.